CIDC - Get out the Vote! 1) The time for Today's debate is 10 AM at the Cape Cinema in Dennis. Mon 7:00 PM at Sandwich Council on Aging, 270 Quaker Meetinghouse Rd, Sandwich. The Dennis Democratic Town Committee is sponsoring a fundraiser for Ron Bergstrom on Saturday, October 13 from 3 to 5 at 6 Herring Run Road, South Dennis. All are welcome and bring a friend to meet Ron. We are just over a month away from the Blue Wave! Please volunteer or donate to candidates in the battleground areas! Please join your neighbors to have some light snacks and beverages while we hear about our Barnstable County candidate, Ron Bergstrom. Ron is the one who can get Barnstable County back on course. He’s been Chair of the Assembly for many years. Now he’s running for County Commissioner. Saturday, Oct. 6, from 10:30-12:30. Put it on your calendar. Spread the word! Meet the candidates. Light refreshments provided. Please contact Eve Dalmalen if you can help with furniture and supplies. Presented by the Outer Cape Democratic Coalition - Brewster, Orleans, Eastham, Wellfleet, Truro, Provincetown. The OCDC established the Barbara Gray Legacy Award in 2015 to be given annually to honor one or more “Citizen Leaders Who Move Our Communities Forward,” echoing the spirit of former State Representative Barbara Gray (D-Framingham) who "retired" to Wellfleet in 1996 after 24 years in the House. Localizing Benefits from Offshore Wind: Energy, Economy & Environment - Sierra Club's Cape Cod Group and 350 Cape Cod invite local residents, businesses, students, and officials to learn more about the potential benefits of Vineyard Wind and other offshore wind projects by attending a forum on Monday, October 1 hosted by Cape Cod Community College. "Localizing Benefits from Offshore Wind: Energy, Economy & Environment" is scheduled from 6:30 - 8:00 pm in the College's Tilden Auditorium. This event is free and open to the public. Beginning at 5:30, representatives from participating organizations will be on hand with information and poster displays. Members of Sierra's Cape Cod Group and 350 Cape Cod work together and with citizens across the region and around the state to support clean energy, protect the environment, and stave of the worst effects of climate change. For more information visit https://www.sierraclub.org/massachusetts/cape-cod-group and https://www.350capecod.org/. You are invited! 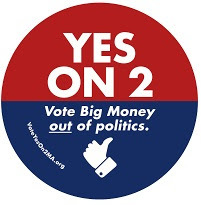 Learn about Ballot Question 2 by attending one of these concise and engaging presentations which will be offered this October in Falmouth, Eastham, Harwich, and Provincetown. But until then, the campaigns still need your help on knocking on doors and talking to your friends and contacts in battleground districts around the country. Drop them a line and volunteer. Your donations also help to pay for literature and signs. We have limited space, but each group has more information on their site. If you have corrections, please send them using our feedback page. Pencil in the September 4th Primary Voting Day, and please don't forget to share the news via Facebook and Twitter at http://CapeDemocrats.com. Aug 25 - Dennis - Democratic Debate for 1st Barnstable Dist. Moderated by Sarah Colvin, Cape Media Center News Director. please send to bobsam266@gmail.com This debate will also be shown live on your local access channel. 10:30 AM, Cape Cod Synagogue, 145 Winter St. , Hyannis, MA. Their special guest speaker is David M. Powers: How did guns fit into the culture which the earliest European settlers brought with them to New England, when Massachusetts was the “wild west” frontier on the continent of North America? Is there anything in 17th century firearms regulations which can inform the present controversies about guns, violence, and freedom? In his “Puritans and Gun Control,” sspeech, Mr.Powers will explore the specific rules Massachusetts Puritans developed about guns in the early 1600s. His analysis offers some surprises, especially for those who may have assumed it was “every man for himself” in the old days. Their general meeting will begin at 10:30am. Mr. Powers is scheduled to speak at 11 am. We will have a brief Q & A with him following his speech and then a light lunch will be served. We have limited space, but each group has more information on their site. If you have corrections, please send it using our feedback page. Please don't forget to share the news via Facebook and Twitter at http://CapeDemocrats.com. P.S. if you see any typos, please donate a $1 to the group or campaign that I missed. Elizabeth Warren is hosting an Outer Cape Town Hall in Eastham on Saturday! She'll be talking and answering questions about how she's holding the Trump Administration accountable and fighting for Massachusetts families in the Senate. Come meet our team and learn how you can get in this fight in 2018! If you are in need of ADA seating or any other accommodation at the event, please let us know. Please click thru to the information that is linked from this newsletter. We have limited space, but each group has more information on their site. If you have news or corrections, please send it using our feedback page. Weekly canvasses are planned on Saturdays at 10, contact your favorite candidates. Don't forget Bob Isadore is hosting the Yarmouth DTC BBQ on July 7th. Bill Richardson is speaking in Chatham. Julian Cyr and Josh Zakim will be at the Wellfleet DTC on July 14th. Bill Cimbrelo, Paul Cusack, and Jack Stanton will be at the Barnstable DTC on July 11th. Ron Bergstrom will be at the BTDC West End Roundup on July 18th and Orleans on July 20th. Join your fellow Democrats for a fun afternoon filled with good food, great conversation, and wonderful friends. $20 per person. Please RSVP with your check to Yarmouth DTC C/O Bob Isadore, 133 Center St, Yarmouth Port, MA 02675. July 7 - Harwich - Yard Sale Benefit Kiwanis of Lower Cape, 10 a.m. to 2 p.m. at Harwich Community Center, 100 Oak St., Harwich to benefit children of the Cape local scholarships, and world-wide projects. Westley Webb will present his vehicle woodcarvings. Sunday 3pm to 5pm, Hosted by Charles McCaffrey at 31 Glen Ave, North Falmouth, MA 02556. July 8 & 22 - Brewster Farmers Market, Windmill Park, Route 6A, 9AM-1PM. July 10 - Osterville - Democratic Candidate for Governor Jay Gonzalez Fundraiser in Osterville, See details below. Meet & Greet/Fundraiser on Tuesday, July 10th! We hope you can join us there. To contact the campaign, please email Info@JimmyTingle4Mass.com, or call (617) 441-0522. Monthly Meeting on Wednesday at 7 pm, at the HYANNIS YOUTH AND COMMUNITY CENTER in the Shepley Community Room, 141 Bassett Lane, Hyannis, MA 02601. July 11 @ 3:00 pm - Chatham - Governor Bill Richardson "What's Next After the US-North Korean Summit?" The Friends of the Eldredge Public Library will host Governor Bill Richardson who will present "What's Next After the US-North Korean Summit." Governor Richardson is a former U.S. Congressman, Governor of New Mexico, US Ambassador to the United Nations, Secretary of Energy, Candidate for President, and Cotuit Kettleer. He operates the Richardson Center for Global Engagement, a foundation focusing on conflict resolution, prisoner release, and environmental protection. There is a suggested donation of $10 at the door to benefit the Eldredge Public Library. This event will take place at St. Christopher's Church located at 625 Main Street, Chatham. July 14 & 15 - Yarmouth - Paw Palooza is “paws down” Cape Cod’s biggest, wildest and most entertaining dog festival! Held in Yarmouth, the two-day extravaganza is hosted by the Agway of Cape Cod Charitable Foundation. July 16 - Sandwich Democratic Town Committee Mtg - 7-8:30PM. View the "Straws" film followed by a discussion on the plastic pollution crisis and the "Skip the Straw" campaign. 4. Yarmouth DTC Barbecue -Jay will be speaking at this event, contact Bob Isadore to RSVP. Please join Rosalind Cross and Susan Truitt (*Host Committee in Formation) for a reception in support of Jay Gonzalez. The Orleans Democratic Town Committee will meet on Wednesday at 5:00 PM at the Skaket Room, Town Hall in Orleans. Ross Berry will answer questions about the Mass Ballot initiative for Safe Patient Limits that will be on the November ballot. There will also be a report from the Strategy Group on issues of importance to the town of Orleans and discussion regarding the summer months activities. We need the input of all Orleans Democrats so, plan to attend and become active in your local party. Come join us!! The committee generally meets on the second Wednesday of each month. For more information on the Democratic Party or any of their meetings, please contact Robin Hubbard. May 19th - Dennis DTC - Save the Date for the Annual Dennis Democratic Town Committee's Wine Tasting Event. During the event, Dennis Selectman, and former State Representative, Cleon Turner will be honored for his many years of service. Stay tuned for more details to come! 1) Please remember to share your photos from the weekend using #CapeDems as the hastag or send them to us. 2) Please contact ASAP if you can collect signatures for candidates today and tomorrow. Please include your town. 3) We're going to send another calendar out later this week, so please get your news to us ASAP. 4) Please add the Outer Cape Democratic Council (OCDC) to your schedule for May 5th. Don't forget to share the news via Facebook and Twitter at http://CapeDemocrats.com. If you have news or corrections (like when the Straw Poll is), please send it using our feedback page.